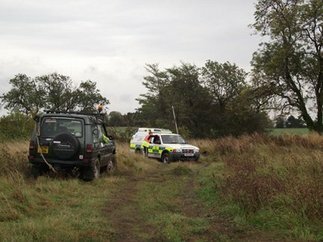 Yorkshire 4x4 Response is a volunteer group, using 4x4 vehicles to assist the wider community in times of need. 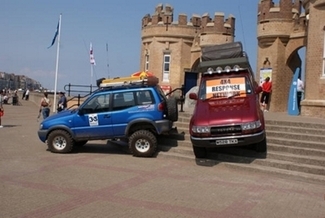 We are affiliated to the National 4x4 Response Network, a registered charity made up of similar groups of insured and capable volunteers across the UK. As our name suggests we support our user services in North Yorkshire, South Yorkshire, the East Riding of Yorkshire and West Yorkshire. This means that we offer support over an area that is one twelfth of England with a population of 5.3 million people. Although we have around 100 active members (and many supporting volunteers), we are always eager extend our membership to new volunteers. This will in turn allow us to both make more friends, train more volunteers and support our user services in the most comprehensive way possible. As members of the National 4x4 Response Network we have the privilege of being able to request assistance from 30+ groups of our colleagues from around the country, this number is growing all the time and there are 1000+ members who, should it be needed, could be called upon to provide mutual aid to assist our user services, in the same way that we provided support during the Gloucestershire floods in 2007. We offer assistance as required by our user services, principally category 1 and category 2 responders, such as Police, Ambulance, Doctors and Local Authorities via the Local Resilience Forums set up by the Civil Contingencies Act (2004). This is often in extraordinary circumstances or extremes of weather, such as heavy snow or flooding. We also work extensively with local charities at their events, offering logistics support and advice wherever possible and engaging with the people in our local communities to raise the awareness of our group, what we do and ensure we have good relationships with those we volunteer our time for. We typically perform a variety of roles, including the relocation of people or equipment, access to areas that could not be reached by 'normal' vehicles, or recovery of stranded people or critical equipment. We principally deal with key strategic objectives of category 1 responders, enabling them to still be able to operate in the harshest conditions where they would otherwise not be able to function. An example of this during snow in 2010 when we were cited as the key factor in keeping a regional Police control centre functional, by enabling Police control to continue to conduct emergency operations and giving them the freedom of movement they needed in order to be able to continue to function as a unit. 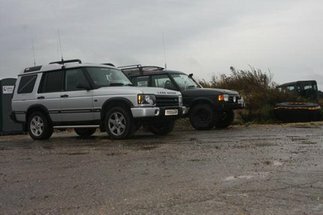 Membership of the Yorkshire 4x4 Response Group is open to anybody who is willing volunteer their time to help. You do not need to be an expert off-road driver, or even own a 4x4. Our Responders are trained to the highest standards in off-road driving, first aid and vehicle recovery in order to operate safely and professionally when their services are required. In order to operate we rely on our valuable network of supporters, fund raisers, events co-ordinators and other volunteers as well as our core 4x4 Responders. If you do own a 4x4 it also doesn't have to have any special modifications either. The nature of the assistance we give means that the bigger variety of vehicles, the better we are able to send a vehicle that is best suited to the task in hand. We conduct training throughout the year, both at dedicated training days or at local meetings, these allow responders to be taught and be assessed on key core competencies which prepare them for doing their part as a volunteer in the challenging conditions the group principally operates in. Our training schemes have been both reviewed and praised by members of our user services, we even train some of our user services in our training modules! The group has an active social side and while the principle aims of the group are very serious, we try to involve the whole family where possible. We have monthly open meetings held across Yorkshire (see here for dates and locations) and regular green laning trips and events such as camping weekends where children and other family members are welcome to come along. We also attend a number of shows taking place throughout the year, as well as social events these have with the aim of promoting the group within our communities. 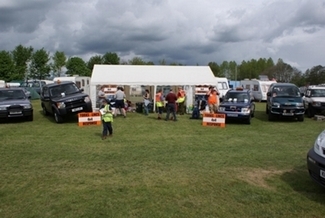 We are also keen to promote responsible use of 4x4 vehicles. Our members take pride in their vehicles and we run instructional training modules on how to keep them vehicles well maintained which increases reliability and efficiency. Membership of the Green Laning ASSociation is encouraged within and outside the group, it is a requirement within our group rules that members adhere strictly to the GLASS guidelines to minimise the impact of green laning. We have and will continue to assist GLASS in the upkeep of some lanes, including assistance with removing litter, electrical goods and rubble. If you are interested in becoming a member of Yorkshire 4x4 Response then please visit our Join Us page, where you can find more information.